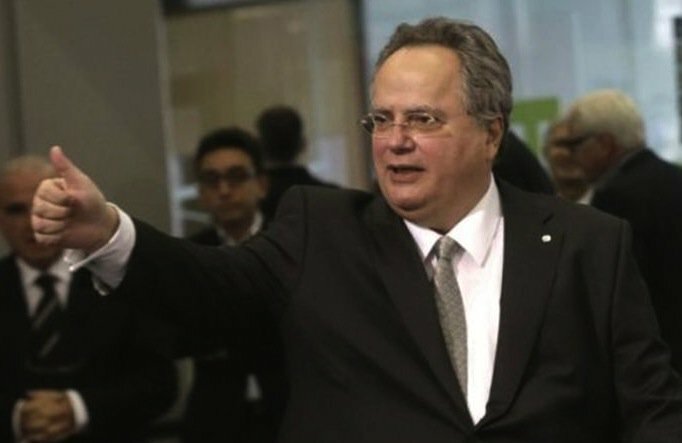 The Greek foreign ministry accused Turkey on Wednesday of audacity, responding to Turkish claims that foreign minister Nikos Kotzias was solely responsible for the breakdown of talks toward a solution in Cyprus. In a written statement earlier, Turkey’s Foreign Ministry spokesman Huseyin Muftuoglu said that Kotzias’ remarks on Monday saying that Turkey displayed an uncompromising attitude during the talks “are completely unacceptable” and accused him of engaging in a blame game. “We invite Minister Kotzias, who exerted no effort whatsoever towards a positive conclusion of the conference, to at least act responsibly from now on,” the statement continues. He also referred to the “cynical admission” by Turkish Foreign Minister Mevlut Cavusoglu, who, on Tuesday, described the Greek demand for the abolition of third party intervention rights and the full withdrawal of Turkish troops as part of a Cyprus settlement, as a “silly proposal” that was impossible for Turkey to accept.